Kelly Dua started her career in the accounting field where she was a Controller for 10+ years. Kelly joined the Logan Team in 2013 and became a Partner in 2016. 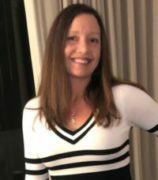 Kelly’s main focus is on Project Delivery where she has extensive consulting experience in the Microsoft Dynamics AX/ 365 space with a multitude of industries, including many full lifecycle implementations. Kelly leverages her accounting degree and business background to assist Logan customers with business process redesign and best practices for their industry. Kelly holds a Bachelor of Science in Accounting from University of Rhode Island and a Master of Accountancy from the University of North Carolina.